As the Internet of Things continues to grow, we are seeing a number of companies develop alternative control systems which enable users to interact with their smart objects without their smartphone, making technology more intuitive and seamless. Both Homey and Jibo are systems which use voice recognition and natural language processing to enable users to simply speak orders to their home. Now, Nuimo is another smart home interface which takes the form of a capacitive smart dial, following this shift away from the screen and towards instinctive physical actions. Made by German startup Senic, Nuimo is a universal control which connects to devices and applications via Bluetooth, enabling users to control everything from their Sonos music system to their smartplugs and smart lightbulbs. 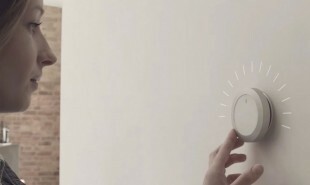 It is a small disc shaped device with an incredibly simple design, and lets users interact with their smart home using tangible actions or touch free gesture-based inputs. Nuimo recently completed a successful Kickstarter campaign and can now be pre-ordered for a discounted price of USD 159. The system is already compatible with over 30 devices and hundreds of applications, and new capabilities are being added to it every day. 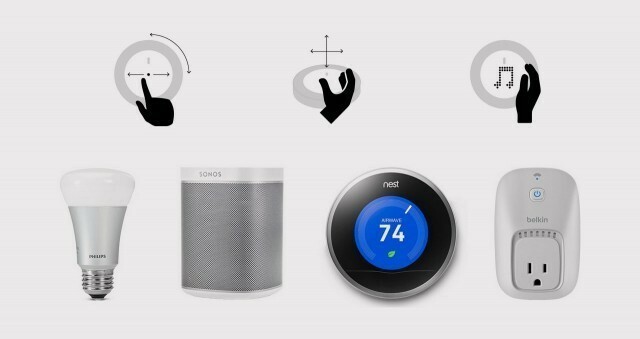 How else could intuitive, physical interfaces make technology in the home more invisible?